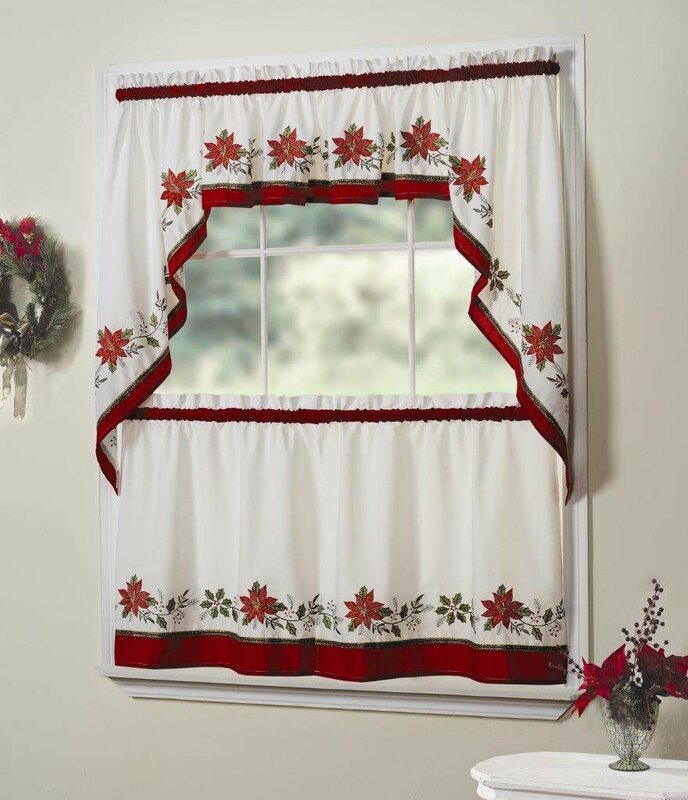 Update your Christmas home decor with this attractive Window Valance . Ivory valance has a poinsettia and pinecone pattern above a plaid border. Rod pocket top for easy hanging. Machine wash. Polyester; imported. 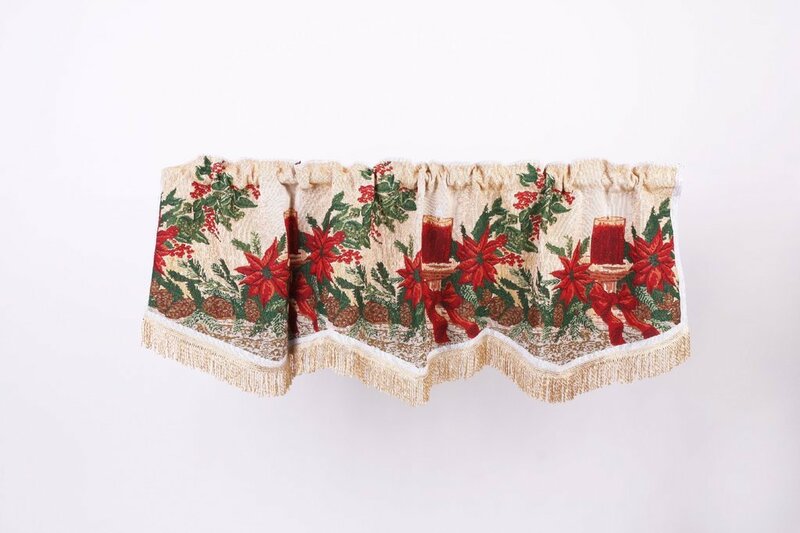 Measures 71"L x 14"W.
Beautifully embroidered red poinsettias with gold details and greenery make this festive valance a great way to frame your view. 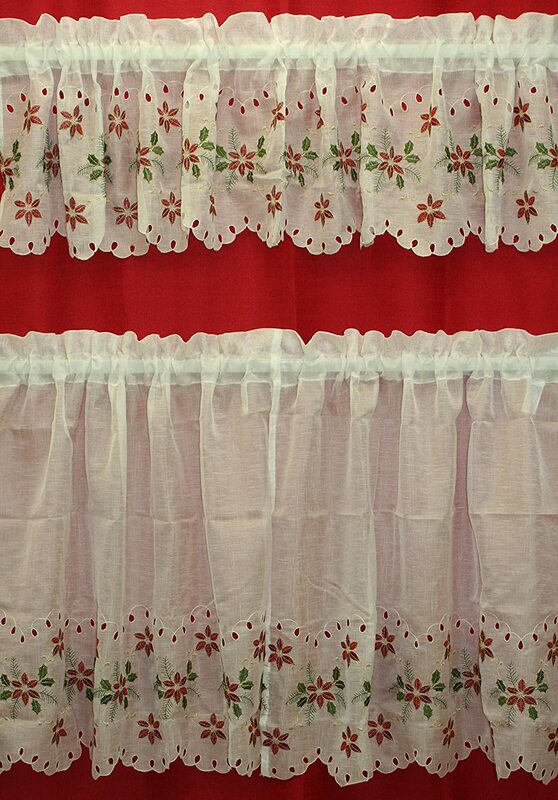 Valance features exquisite, lacy cutwork along the handkerchief hem. Rod pocket top for easy hanging. Machine wash. Polyester. 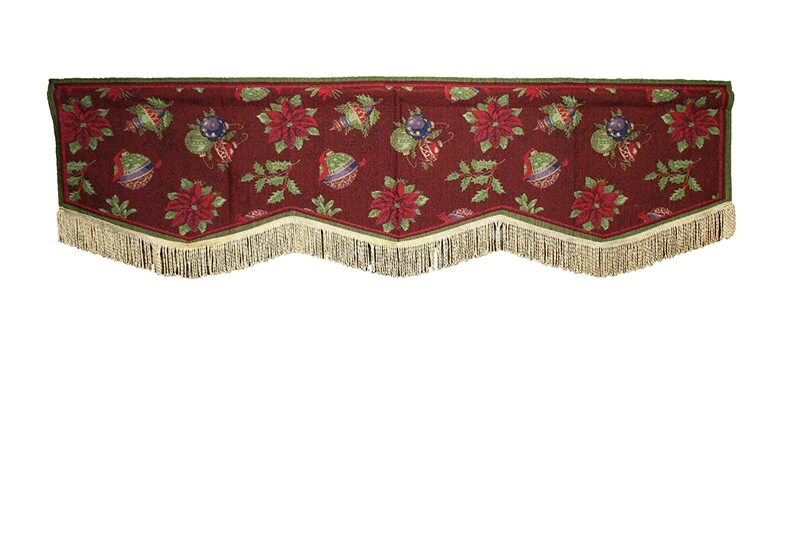 40"L x 15 1/2"W. Embroidered red poinsettias with gold details and greenery make this valance a festive way to frame your view. Valance features exquisite, lacy cutwork along the handkerchief hem. Rod pocket top for easy hanging. Machine wash. Polyester. 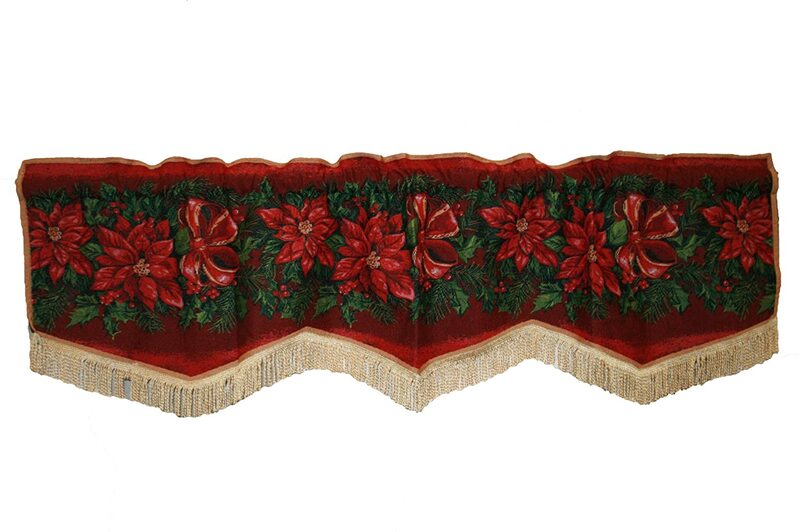 Measures 40"L x 15 1/2"W.
Update your Christmas home decor with this attractive Window Valance . 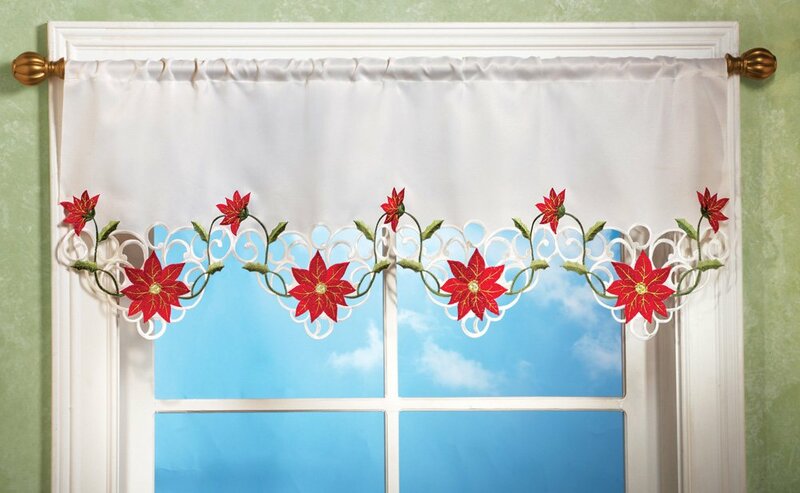 Update your Christmas home decor with this attractive Window Valance . 48% polyester 52% Cotton, Machine Washable, Imported . 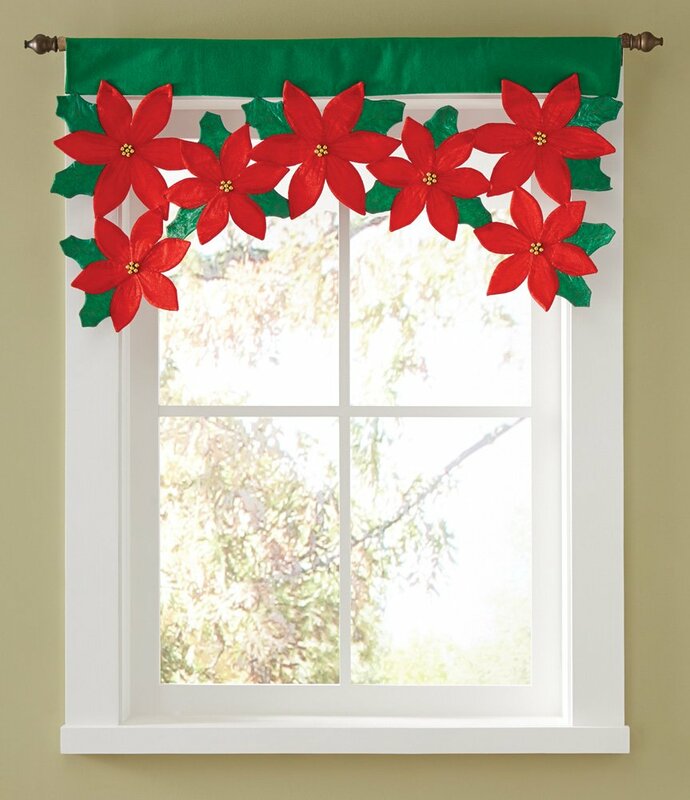 This festive design is sure to add a touch of the holidays to any window in your home. 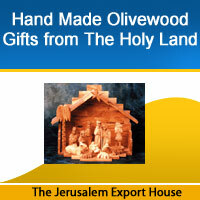 DECORATIVE STYLE - Perfect decoration for the Christmas season. Colorful and delicate with a look of needle point Poinsettias and Candles window valance to display for any holiday occasion or event. QUALITY AND DURABILLTY - Machine Washable (Gentle Wash). 52% Cotton 48% Polyester material. And has a good quality and durable structure. 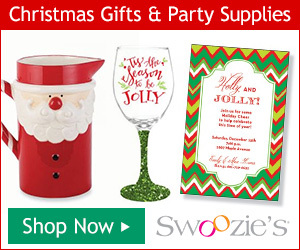 GREAT SIZE - Constructed with 1-inch rod pockets, decorative 2-inch header and poinsettias and candles liner. Designed to fit most standard windows. Overall 60" X 15". CANDLES COLLECTION - This design has matching accessories such as decorative cushion covers, throw pillows, placemats, table runners, area rugs. That makes this valance to coordinate perfectly with the matching accessories. ADD A FRESH TOUCH - Update your home with this festive poinsettias and candles valance that will brighten up your home, and will surely add a beautiful touch to your holiday home decor. Live in style!